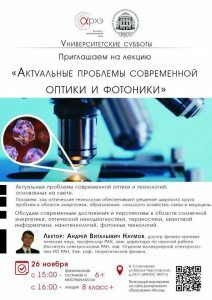 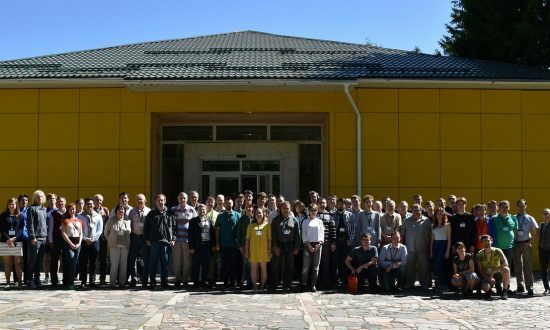 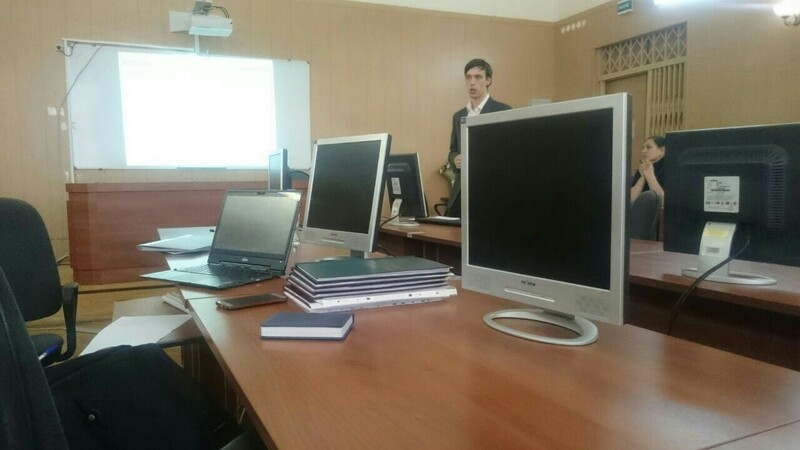 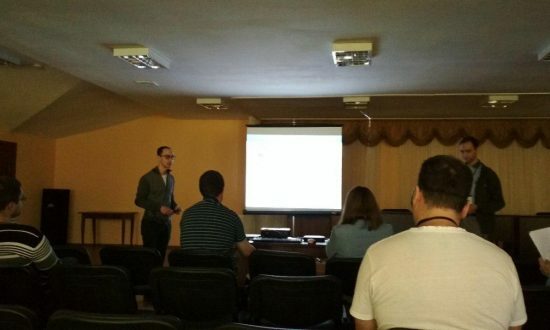 02.07.2018 – 08.07.2018 Karimullin Kamil and Arzhanov Artem took an active part in organizing and holding the 13th International Scientific School “Science and Innovations – 2018” (Republic of Mari El). 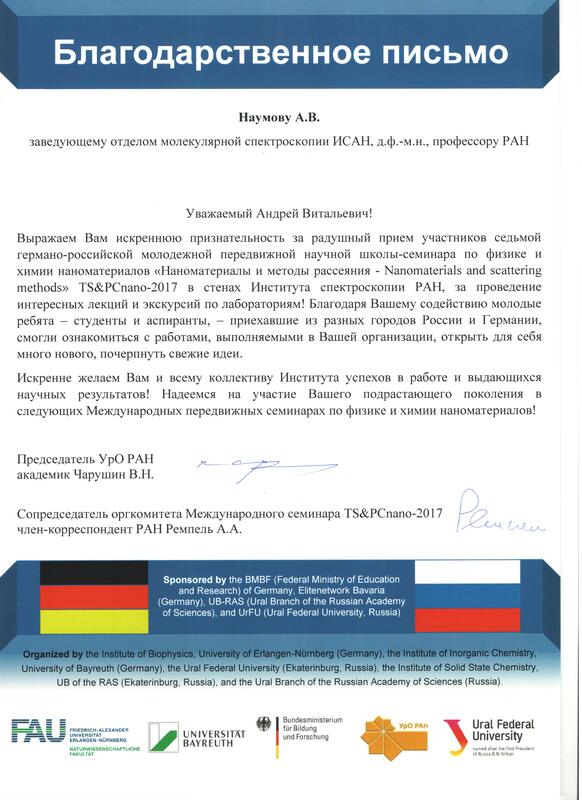 25.06.2018 Congratulations on the successful defense of Budin Victor, who performed a bachelor’s degree thesis at the Department of Theoretical Physics named E.V. 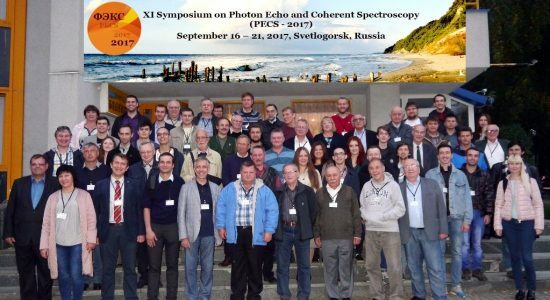 Shpol’skii. 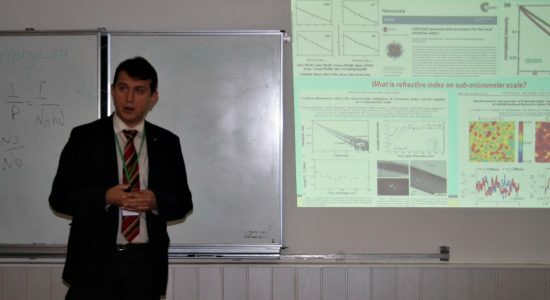 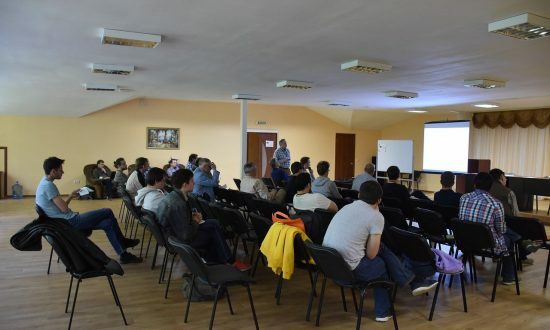 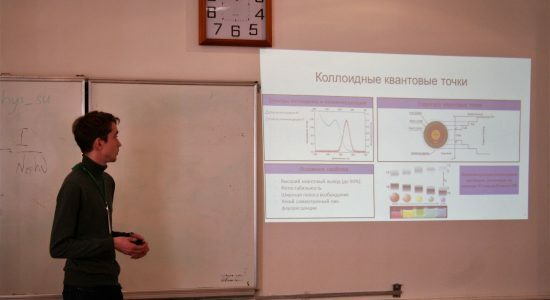 Topic: Photophysical properties of hybrid systems based on semiconductor quantum dots and photonic crystals from porous silicon (report on the materials of the Ph.D. thesis, ISAN is the leading organization). 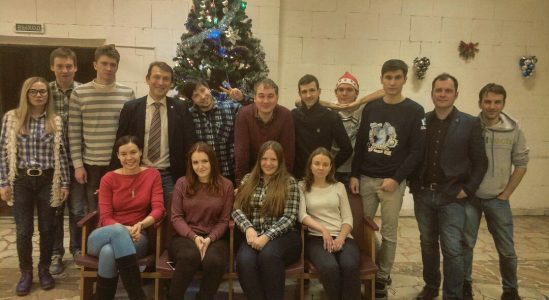 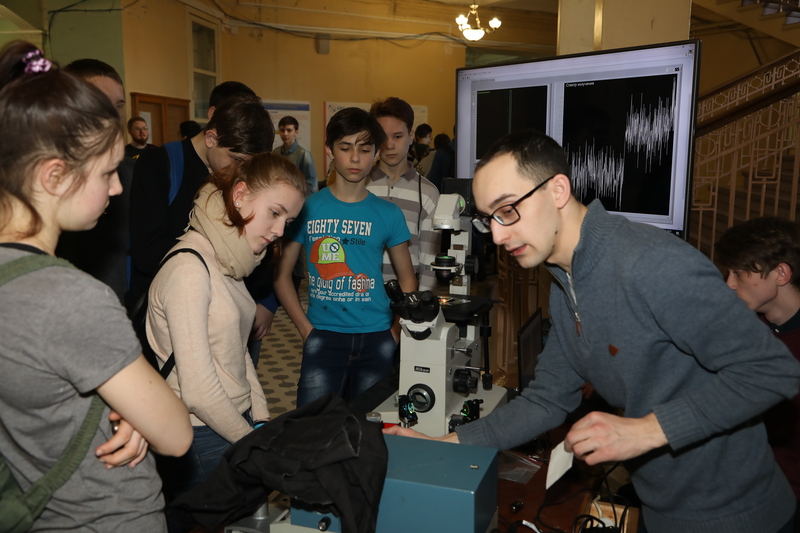 04.03.2018 Laboratory of Electronic Spectra of Molecules and the Department of Theoretical Physics named E.V. 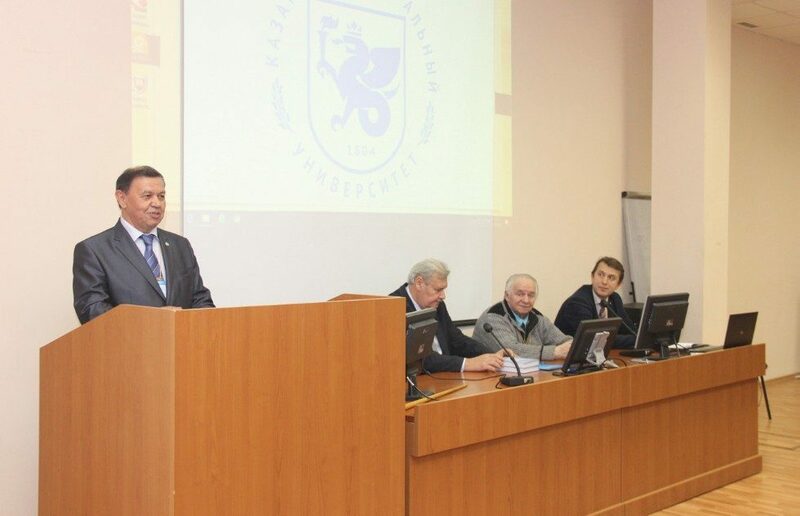 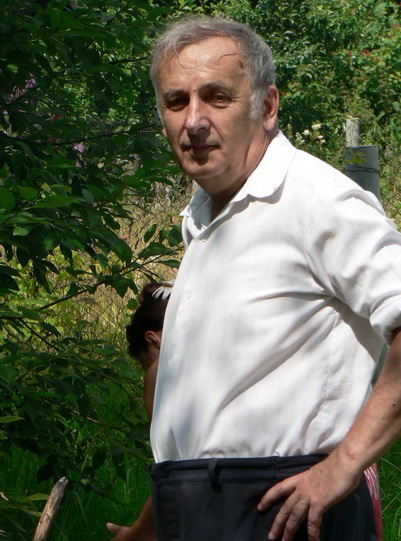 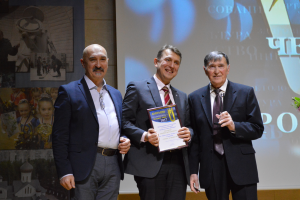 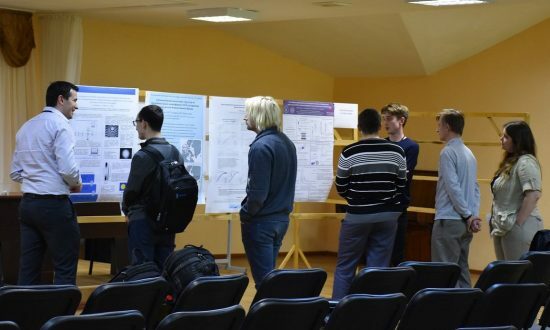 Shpolsky, friends, colleagues and students sincerely congratulate the doctor of physical and mathematical sciences, Professor Igor Sergeyevich Osadko with the 80th anniversary! 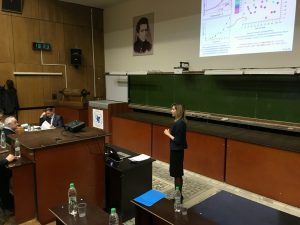 22.02.2018 Tatiana Anikushin successfully defended her PhD thesis. 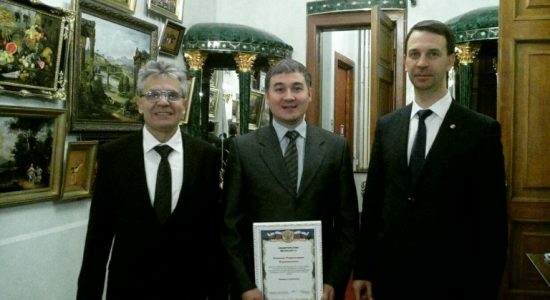 09.02.2018 Eremchev Ivan Yurievich was awarded the diploma of the head of administration of Troitsk and Troitsk scientific center of RAS for special achievements and personal contribution to the development of scientific potential of Troitsk city district. 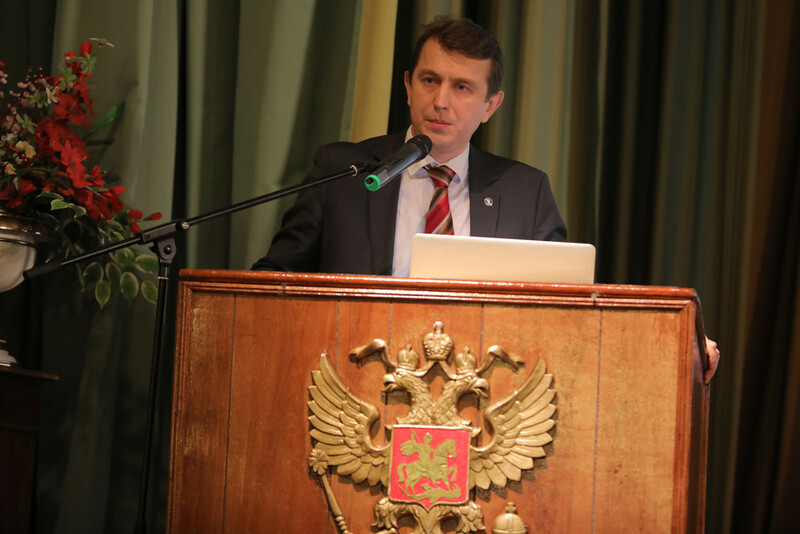 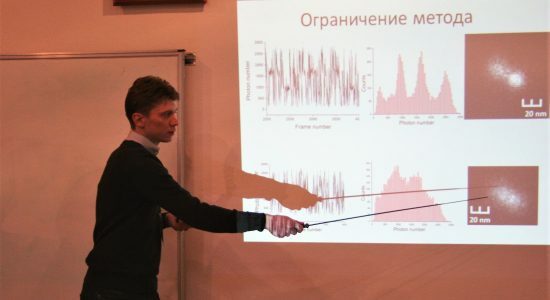 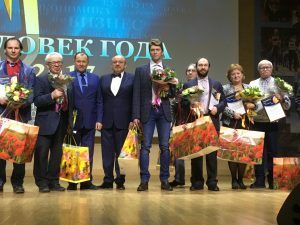 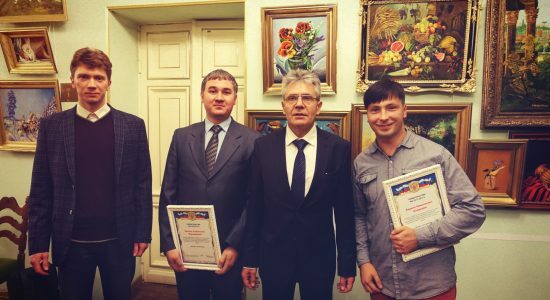 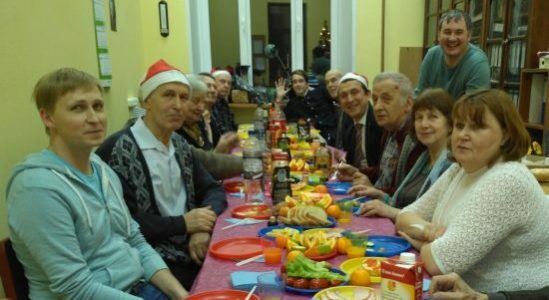 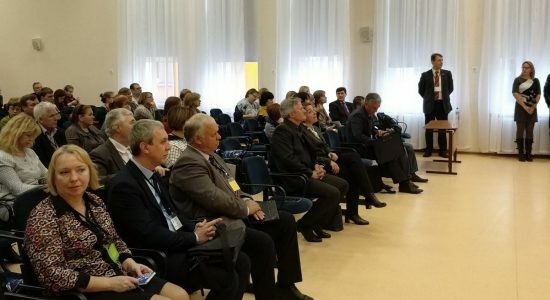 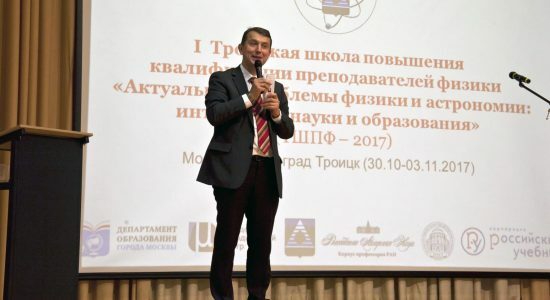 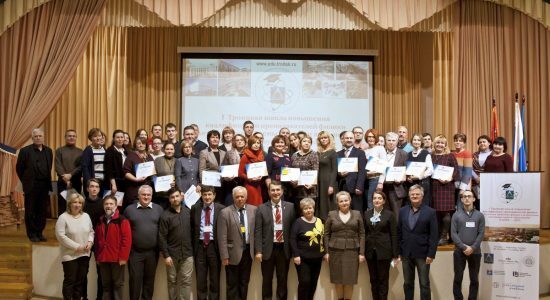 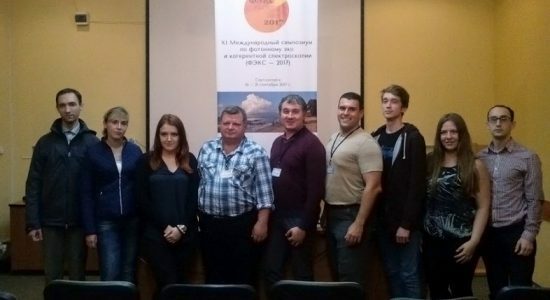 Andrey V. Naumov was awarded the honorary title ” Man of the year “by the science city Troitsk 2017 in the nomination” City and society “for the organization of the first Trinity school of advanced training of physics teachers:”Actual problems of physics and astronomy: integration of science and education”. 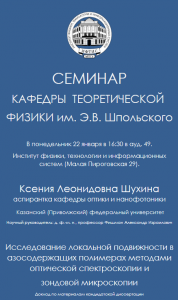 22.01.2018 Seminar of the Department of theoretical physics. 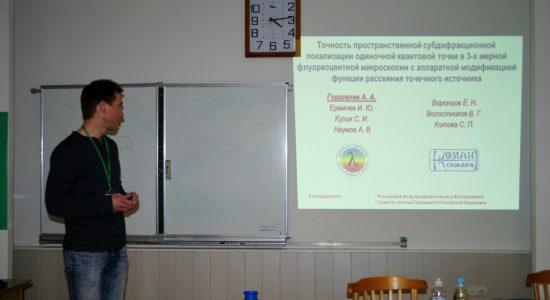 There was a report on the materials of PhD thesis. 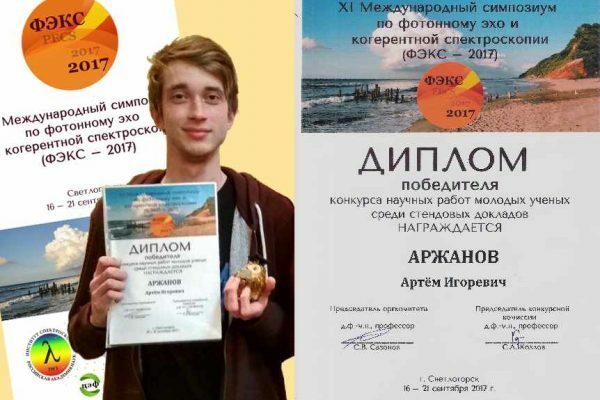 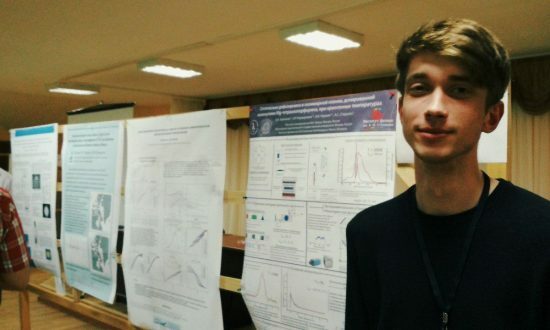 17.11.2017 Arzhanov Artem took 3rd place in the XV all-Russian youth of the Samara competition-conference of scientific works on optics and laser physics. 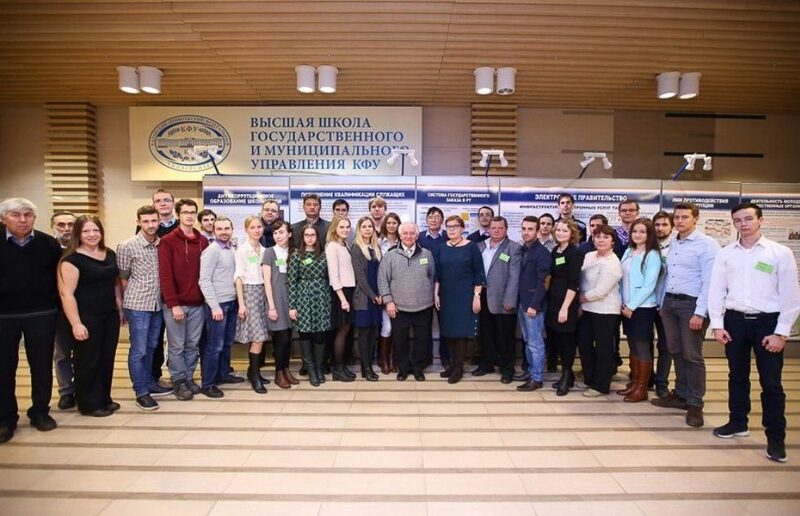 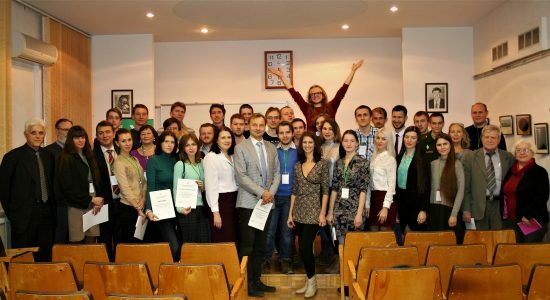 24.10.2017 The ceremony of awarding certificates to winners of competition on competition of grants of the President of the Russian Federation for state support of young Russian scientists – candidates and doctors of Sciences in the Central Federal district was held in the Central house of scientists. 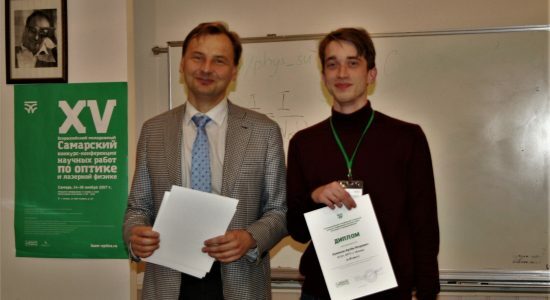 Kamil Karimullin and Ivan Eremchev received grants in physics and astronomy.